Coverage: 1000kg of builders sand will usually cover about 15mÂ² (15m x 1m) at a depth of about 5cm. Consists Of: Grains of different sizes which is an advantage as this prevents it from clumping together as much as some other sands do. Builder sand is often taken from the sea and can contain quite a lot of salt. Usage: The ideal use of Builder sand is in construction. It is very good for use under brick paving as it gives good drainage. Builder Sand is a true, naturally formed sand usually taken from the sea. It is finer than sharp sand which is also frequently used in construction work. 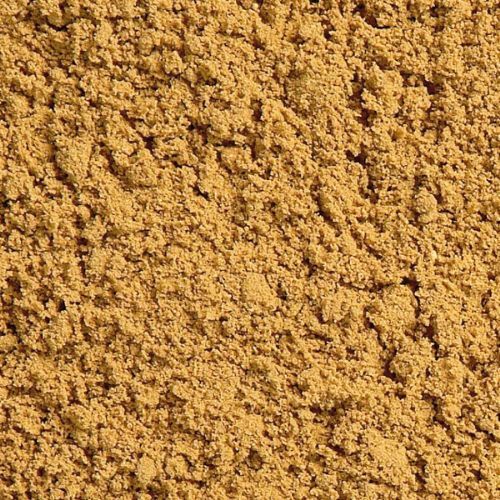 This fine grained sand provides the smooth consistency needed for many building projects. It resists clumping because the sand grains are different sizes. Since it is frequently taken from the ocean, builder sand can contain a high level of salt and so should not be used for planting. This high salt content is an advantage when builderâs sand is used to help prevent sliding on icy roads. Builder Sand is just one of numerous aggregates used in construction. The term aggregates refers to any grainy material used in construction as a sub-base or as part of concrete or mortar. Aggregates include crushed stone, gravel, sand, and grit as well as recycled, crushed concrete, bricks and other items. Aggregates have been used since ancient times to improve the strength of concrete and other construction mixtures. The ancient architectural author Vitruvious writes of the need to find suitable aggregates near the construction area so that concrete can be made. Today, quality suppliers such as North West Aggregates take the worry and aggravation out of finding quality aggregates; North West Aggregates sells a variety of other aggregates, such as recycled sand and decorative gravel, in addition to Builder Sand. Builder Sand is ideal for leveling an area. It is can be used with cement to make mortar. It is suitable for a variety of other uses where a fine textured aggregate is needed. Builder Sand provides excellent drainage. Some people mix it with clay soils in their garden to improve drainage, but caution is needed when using it around plants because of its possible high salt content. This fine grain sand is a perfect, economical under base for a brick path or stone paver path. North West Aggregates Builder Sand is sold in tonne bags (1000KG), and in bulk.